I should write it as a book - maybe the opening paragraph to the "Helkbible"
Makes for a funny read if anything! The boy druid looked down at his hooves. They were still smooth. The hooves of a boy. The hooves of one who had not experienced The Great Hunt. He was always tormented by the fact that his peers were rugged, their bodies showing the fruits of adventures won and legends defeated. He trudged, dejected, around his hut. It was so bare. He had no money or time to work on it or to make it the place he wanted it to be. Then again, he enjoyed the memories it brought him. The way it had not changed since his birth. His parents had not been rich, nor were they attractive or well placed in the tribe. His father was always being insulted for the fact he was a simple fisherman and his mother ……. well ……. She was never a beauty and was large for a Tauren lady; consequently school life had never been easy for him. However, he never begrudged his parents – they were loving and caring and had given him the best that they could offer. 3 months ago his mother and father had been killed on a hunting trip – trampled by a pack of Kodo. The boy’s world had been rocked and now he was alone in the world with whatever keepsakes had been left to him. There was not much a boy with no trade could offer the tribe, and he was left to himself, a mere shadow of his family’s line. Walking to the corner of the room, he opened a tattered crate and looked down in to its depths. There, cupped in a small wooden bowl were a few of his prized items. They were figurines of heroes – heroes that he had always wanted to emulate. Removing them from the bowl, he took them to the altar his parents used to pray at and stood them there, pride of place. The light from the evening sun streamed in through the open door and bathed the hut in a warm glow. He looked up at the evening sunshine, marvelling at the brilliant colours that had been painted across the sky. The boy sighed, and gazing at the figures one more time, he returned to bed. It had been a long day. Today he had learned to transfigure himself into a bear. A BEAR! He thought the day would never come, but it had, and what an experience it had been….. Even then, it had been harder for him than for the other children. They seemed to find it all so easy. His teacher had told him that the trauma of the last few months was most likely the cause of his distance from Nature, but that time would heal this wound. Time. The boy wasn’t sure how long it would take – if ever – for him to get over his parent’s passing. Gazing at the ceiling he remembered how the hunt party had returned from the plains. It had taken 6 grown men to carry his mother’s large frame back to the hut, and once again he had had to endure the insults of his peers until they realised how critical the situation was. He would never forget the words “your father……he didn’t make it”. The boy tended to his mother for 3 days until she passed. She slowly detached herself from the world, her ramblings becoming more and more bizarre; the words that his mother had told him on his death bed were confusing to say the least. The fever racked her body. He had questioned her about these words, but was interrupted by her hacking cough. The ferociousness and frequency of these coughs was getting worse, and her once plump body was slowly wasting away. He again had tried to question her – it took everything to hold back the tears as he listen to these ramblings – but was silenced as his mother’s eyes had glazed over and a deep, rattling sigh emitted from her mouth. And with that, the aged druid passed into the life beyond. The boy had no idea what his mother had meant until a few months ago when he understood that the way of the druid was so perfect for him that this must have been the path his mother spoke of. What the “one with them all” the “immortalised” and the “you will need to find your 10” parts were about he had no idea – but at least he was following a discipline that fitted with his mother’s wishes. Rolling onto one side, he gazed at the celestial figurines he had placed on the altar. These too had been left to him by his mother and father. He wished he had had more time to ask his parents about them when life had still run in their proud Tauren veins. Alas – as with many things – he had not realised what he could lose until the loss had happened. There the idols stood. Proud, unmoving…. regal even. A slight glint on one of the idol’s plinths caught his eye. He was sure he had not seen anything spectacular about them before. Getting out of bed, he shuffled over the panther skin rug covering the bare floor of the hut, and he moved to the figurine. The glint seemed to be coming from inside a small casing on the plinth. Something within was catching the day’s final rays of light. He gazed at the figure again. It had always been a confusing one for him. It was of a Troll, fully dressed in the brightly coloured garb of a healer. He had never seen anything like it. The Troll seemed to be carrying a fish in each hand and had a sly and knowing smile on his face. The boy had never understood this, but then, he had never paid much attention to details. Reaching into a casket by the altar, he removed a knife, and then, looking back at the casing, he pried the gap open with a knife. Tipping it up to look inside, a flat and bright blue gem fell into the palm of his hand. It was simply beautiful; by far the most exquisite thing that the boy had ever seen. He rested the figure of the Troll back on the dais and ran his hand across the surface of the gem. It was smooth, yet seemed to be warming to the touch. Turning it over, he looked closely at what seemed to be engravings gently appearing on the pale blue surface like ripples…….. They hadn’t been there minute ago….. Had they? This could not be. Had his parents put this gem in the idol? They couldn’t have… These idols seemed far too old – generations old – and the covered section must have been sealed for years. His mother’s words came back to him, “The name will be held by many”. What was this? Trickery? A sign? A portent? How did it know the name Helkpo? Excited and slightly fearful, he placed all the effigies into his wooden bowl and took them to the rug. Laying them all next to each other and placing the gem to one side, the druid looked closer at the other effigies. Yes! They too had small cavities in their base. Prying them open one by one he removed all the contents. The figurine in his hands was of another Troll. This one seemed more like the Trolls that he was used to. When he helped his father on his numerous fishing trips, they would meet many of them. They were in his eyes a strange race, but friendly enough. Again the name Helkpo was mentioned. He placed it on the rug and looked at the next small sculpture. Self sacrifice? What was this meant to mean? He was confused – did this mean that she was one who sacrificed herself for the good of others? The next statuette was again, one of the undead. The design was flawless. She carried a great sword and shield and she too had a grin on her motionless face. Her armour was of the highest quality and not built for quick movement. This was one who faced battle head on and must have received heavy attacks. The druid was overwhelmed. There was so much to take in! Was he meant to follow something here? “No you” was a strange comment to say the least – not least due to the fact that the “11” in the wording made no sense; but was this aimed at him? Was it referring to the ‘self sacrifice’ that the previous statuette mentioned, or was this all coincidence? He wondered why they all spoke of him! He was a nobody and noone knew of him further than the walls of the tribe’s compound. 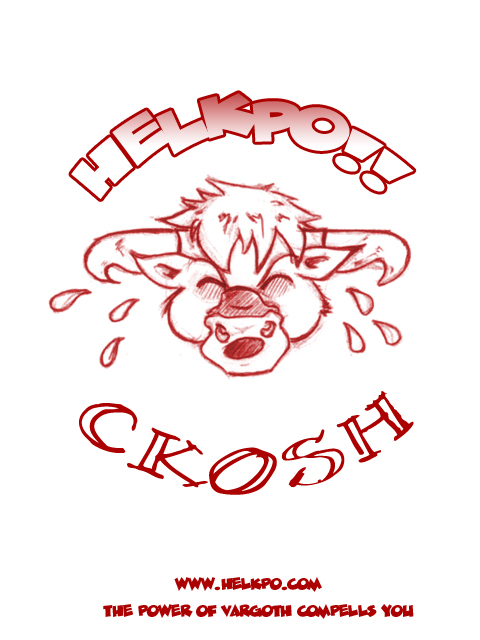 But, ‘Helkpo’ – that was too bizarre to be a coincidence. Confused and weighed down by the present and the past, he looked at the next hero. He was always mocked in school. These were words thrown at him numerous times in his classroom...... Were these effigies speaking to him? Highly confused, the boy lay the statuette down next to the others. Why would someone so obviously battle hardened say something so bizarre? He got to his feet and walked to the corner of the room where his father had dug a well. He remembered his father being mocked for trying something so advanced. It had been no mean feat and was one of his father’s prides in life. The boy drank deeply, thinking about the figures and words he had seen. Washing his face, he walked back to the rug and knelt down again. The next 3 idols had brave looks on their faces. There was something different about them…. Was it something in their eyes? No… comparing them to the others, they seemed to be wearing very different clothes and armour. These three seemed to be gladiators of sort. Some of their armour bore strong resemblances to each other. “True” mumbled the boy. He looked up suddenly. Was this figure speaking to him? No. It was simply a handsomely carved image…… yet the words rang so true. The next was an elf. An ELF! The boy had never seen one of these before. Only from the stories that his father had told him had he got a mental image of these beings. His name again – repeated three times. The elf’s eyes looked into the boy’s soul. It knew him – it knew his future and his past. The last figure was a druid. A druid!!! It bore a strong resemblance to some of his friends and family and he felt a pang of regret for not being able to spend more time with his parents while he still had them. This druid was dressed as a fighter, splendid in its gladiatorial armour and weapons. The boy dreamed he could one day look like this. Could this be another sign? He removed the casing at the bottom and a small model of a leather bound spell book fell out. It was specifically for healing spells – he had seen one of these in tribe elder’s hut. The little book was damaged, the paper slightly rotten due to the passage of time. He carefully undid the clasp and looked at the one visible page within. Words began to swim across the papyrus. The words kept swimming in and out of view, never fully solidifying. The damage to the book must have been too much to keep the magic alive, but the message was clear. Once again this was definitely a childhood insult aimed at him many times in his school. These messages were all aimed at him. He thought back to his mother’s final words. No longer were they the delirious ramblings of a fever ravaged woman but the foretelling of this moment. These must have been the “mighty 10” that his mother was speaking of. A whole new world was opening up before him. A direction he had never seen before was now a distinct possibility. Images of adventures and success swam across his imagination and he looked down at the effigies, mouthing the names, his now eager eyes taking in every last detail. These were his forbears. These were the heroes he felt he must emulate if he was to truly fulfil his destiny. But there were only 9 idols. He needed 10! This couldn’t be….. He was sure that this is what his mother was talking about. A wave of nausea washed over him – was he making up all these ideas in a desperate attempt to have a direction and purpose to his life? He struggled to his feet and moved to where the tattered crate that had housed the figures still lay. Distraught, he threw aside the clothes and bedding that were in the box. There must be another statue, one that he hadn’t remembered or seen before? However far he searched, there didn’t seem to be anything left in the crate, until finally he spotted something. A solitary base. He pulled it out and crumpled to the floor. If there had been an image on this plinth then it was long gone; the base being all that was left. Looking at the bottom, the cavity had already been opened and all that remained was a hexagonal hole. The boy began to cry. He tried to calm himself with long, drawn out breaths, but the floodgates opened. Oh how he missed his parents. He had become an accepted outcast in his tribe and his one glimmer of hope had just been shattered. He lay back on the rug and stared at the ceiling, the tears streaming down his face. This is how life would be then. He would continue his training as a druid and hopefully one day he would be of some service to the tribe that had rejected him. Drying his eyes, he sat up, collected up the idols and put the little treasures back into their bases one by one. As he got to the last idol he paused to look at the wondrous blue gem again, re-reading the writing on the gem, “The power of Vargoth compels you”. His face contorted in thought. He looked at the idol’s face and saw the knowing look on the Troll’s face in a different light. “Could he be telling me something?” he thought. Vargoth. The name rang true in his head. He was sure he had heard this name before. Getting to his feet, he walked over to the small stack of historical books that his father used to read and enjoy in the cold winter evenings. He soon found what he was looking for. The words were old and related to a story that his father used to read to him after their daily meal and before bed. “Archmage Vargoth was the leader of a group of Kirin Tor wizards who established a base Kirin'Var Village. Prince Kael'thas Sunstrider along with his Blood elf followers attacked the village with more power than the wizards could imagine. Archmage Vargoth ordered his comrades to retreat to the local tower, however, Kael'thas was wiser and stronger then Vargoth. In the moment that Vargoth and his men entered the tower, the Elven prince sealed the doors with a curse on to ensure that none of the wizards within will exit the Violet tower”. He put the book down and looked back at the blue gem. Maybe just maybe……. Picking up the gem he reached for the 10th podium – the base without a hero. Could this be the answer? Turning the base unit over, so he could see the hexagonal hole underneath, he apprehensively brought the gem towards it. They were the same size. The gem fitted perfectly, clicking into place with a satisfactory snapping noise. The base began to heat up. He rested it on the table and watched as an image began to appear where the idol he thought was lost should have been. Slowly it took form. A translucent image materialised wearing long flowing robes, delicately tailored yet intricate and exquisite, and a kind face looked back at him. Could this be him? Could this be Vargoth? It looked almost real as it definitely was not a static image and had the unconscious movement of someone standing still. “The 10th…” the boy muttered and raised a hand in greeting. Immediately he pulled his hand back down, realising how foolish it must have looked for someone to do this to a likeness of someone. But the image of Vargoth, as if mimicking his actions, raised its hand back to him! Shocked, the boy didn’t move. He didn’t know what to think – there was no one to ask, no one to discuss this with. Vargoth nodded and raised both his hands conjuring an image in the air. The image glistened. Burnished gold and blistering silver, deep royal blues and fiery reds came together to form a beautiful image of a world as yet unknown to the boy – but one he felt a strong affinity to. The image filled his mind and he could see everything. There were destroyed plateaus leeching electrical bursts and dark foreboding lands with evil radiating from them. In stark comparison there were beautiful green plains, ones that he had never seen before, and huge mushroom-like trees that seemed to dominate the sky. There were even animals running across these plains – he had seen a lot in his time and he recognised none of these. “Am I meant to go there?” he asked, subconsciously pointing to the doorway. Vargoth, copying the boy’s motions, nodded and pointed to the doorway as well. The boy stood up and let the evening breeze hit him in the face. He closed his eyes and let the smells and sounds of the nature around him envelop his very being. He let time pass and the evening wash over him. The sun was now setting and the colours of the evening sky were slowly diminishing. It was still a warm night and a pleasant one. The birds were now asleep and the night was dominated by the sounds of crickets and other creatures of the night. Opening his eyes, his mind now clear and focused, Helkpo turned back to the room and began gathering his things together. He placed the small bowl with the figurines into his bag, wrapping it in soft blankets so that they would not be damaged. There was nothing here for him now. He had a path to walk and although he knew it would take a long time to get there he innately realised that he must start immediately. Hoisting his bag onto his back, and taking his mother’s staff, he left the hut and ventured out towards the horizon. His travels had only just begun. We know, Ckosh is thinking of an addendum to his story. yeah - i am writing a contiuation - but the 10 that must be found were never necessarily the 10 from the statues. You mean you want to wait because you are gay. Gay's never commit, they just end up having messy bum fun in dark rooms made of wood. But more likely cos the 1st story linked everything too well - and I have no clue how to work the next one! ...dark rooms made of wood, if there happen to be a moose in the room also then I am game. Man - with what we are now, this is really quite moving.